All About Us...Family Owned And Operatered.. Here at the Oxford Court Motel we believe that everyone deserves a holiday, so we strive all year round to keep our prices down. As we are family owned and operatered don't be surprised if you see us doing everything from checking you in to cleaning you room. This allows us to reduce our operating costs alot more than others so we give it back to you the guest by discounted prices. After the major flood in April 2013 and being almost fully closed for 4 months we now have 8 fully renovated units looking great for you to stay in. With four more units now to be upgraded we expect to have them looking just as flash within the year. So come on in and have a pleasant and relaxing stay with us! With king and queen studio's and family rooms right up to our new exec family rooms and exec studios we'll be sure to fit you in somewhere. And our Disabled access Spa unit is a must not just for those in need but for anyone who wants a relaxing Spa Bath at the end of a long day. We cater for just yourself passing through or a family getaway right up to your sports team. All our units are fully self-catered so no need to spend up big on restaurants and takeaway. Just pop down to the local supermarket and cook up a feed the way you like it and if it's breakfast your after we offer continental breakfast delivered to your room eaither the night before or in the morning to get you going for the day. Our guest laundry is open 24rs in the middle of the complex so no matter what time you can get your washing caught up. During the summer feel free to take a dip in the pool or relax around enjoying the sun. Cook up a feed on the BBQ to end a long day.. It's all there for you while your with us. With Sky Guest Select in each room you have the freedom to choose what you watch while your in and Wireless Internet access is available through all area's of the motel through Zenbu you won’t miss out on any of the comforts from home. Just a walk away from the Richmond mall, shopping is a breeze, and a quick five minute drive north and your in Nelson city makes the Oxford Court Motel your best destination to access the Tasman region. So look no further and book today for your Nelson Tasman Getaway! Had the best stay, room was comfortable, beds awesome. Plenty of space. But best of all the management/owners were fantastic from making sure we had all we needed to giving advice on places to eat out. Rob roy was the best place to eat... Thank you. We would so definitely stay here again. Take a dip in our pool or relax on the chairs, the choice is yours. Small kids can enjoy the paddle pool and we have a large range of floaties and balls to keep them safe and entertained in the pool. 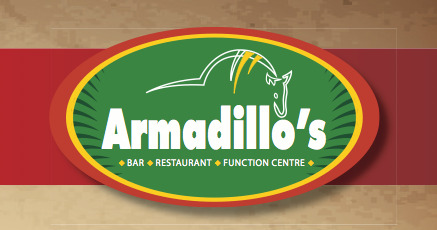 Although we have no restaurant on site we are more than happy to arrange a booking for you with Richmond's Top Restaurant "Armadillo's" located less than 2mins drive from us. There you can savour all the great food and drinks they have to offer. 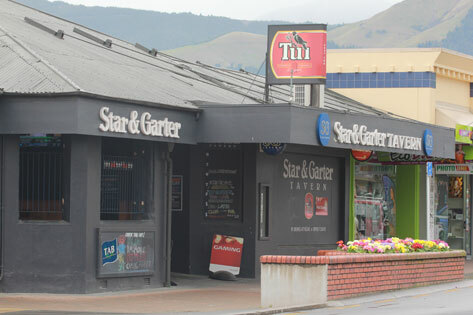 Head on over to the local Star And Garter for a cool drink to wind down the long day, open 7 days a week the Star offer's you a great place and friendly locals. And it's just 5mins walk from the motel. Our guest laundry is open 24hrs a day for all your washing and drying needs. A clothes line is also located in the middle of the property. All our units come fully equipt with linin, bedding and everything needed in the kitchen just like home. No better way to end a good day than with a BBQ, We'll supply all you need to get cooking, you just bring the food and fire it up. Kids play area, also located by the BBQ area so your kids can entertain themselves while your cooking dinner. In the hot summer months be sure to walk around the back of the units as we have plenty of grapes and thornless blackberries growing for you to enjoy. Sky Guest Select puts you in charge, with over 50+ chanels you'll always have something to watch. Wifi in all area's of the motel with unlimited traffic. Daily servicing of your unit means you'll never run out of towels or your tea's and coffee's.